Full translation of all text. Authentic translation from Japanese to English. No limitations due to lack of space or any other technical reason. Text printing speed adjusted to English readers. Fitting use of pauses in printing and of printing speed, giving the conversations more emotional depth. User name can now be up to seven characters (the name Gillian did not fit in the original six characters). Graphical data is - wherever appropriate - translated to English as well. A new proportional font, making use of both uppercase and lowercase characters. System requirements remain the same: MSX2 with 64kB RAM and the special Sound Cartridge. An optional mapper version is available for people whose original sound cartridge got lost or broke down. Automatic activation of Turbo mode for all known MSX computers equipped with this extension (Turbo-R/Panasonic's MSX2+/Brazilian clones). Optional patch to fix a "freezing bug" on Panasonic FS-A1FM. Restored texts for all characters in the hidden map Survival World as they were originally planned in the game. Removed duplicate characters. An optional patch is available to open the door to Survival World from Syd Garden. Re-connected the two maps of Survival World; the player can even make it to the Kremlin now! Fixed some map bugs that allowed player to walk through walls. Distribution as IPS patch, so without violating any third party copyrights. I've started playing it... and its great! But i was just wondering: i'm at the the warehouse now where I need to find Gibson.. I found little John that has metal creatures running around them.. I didnt want to fight them straight away because I was about to level up.. I left the room to fight some other creatures but when I got back the creatures that where running around little john where gone! As soon as I "touched" little john (i know..I know.. that must sound weird...) I still had to do the fight though.. But was this already a bug in the original? Whooohoo, tested on my Turbo-R with MegaFlashROM SCC+ SD, in SCC+ mode, and using RunIt. Works great !! Works fine too on VG8235 with the same configuration. The conversations are much more detailed compared to Oasis's translation, it really makes it worth finishing the game again to see what we missed at that time Proportionnal fonts are beautiful, this is just perfect ! Maybe the only tiny issue is that on a real TV, during the demo, some wide texts do not fit entirely on the screen (well, just half a letter, everything remains readable and understandable). PS : Does anybody know if an english translation of the manual has been released ? I'd like to make myself a nice package with UGC box, printed disks and manual ! This looks like a nice motivation to start playing this game again. I never finished it. Can anybody tell whether versions of the game "in the wild" are appropriate originals for the patching, or do we need some obscure uncracked game that's hardly findable? I'm not asking for URLs but just for the general compatibility. @ Hrothgar: I couldnt make a proper dump of my original disks so I did some searching too.. This works fine so far! What a great new year's present! I've not played SD-Snatcher at all, so maybe now it is good time to start when we have a proper translation! Wonderful! Works fine with Turbo R from Sunrise CF cartridge and Runit. There was issues with imputting the name on the start screen as the letters didn't somehow fit on the screen and were on the right side instead. Otherwise great job overall! I'm happy! I had kind-of the same problem when I first patched non-originals disk-images. Find the right one and it should be fine. The game make much more sense. However, since I play the english, short version of Snatcher, I feel like SD Snatcher is to Snatcher what Anime are to books. Very good but some dimensions are missing. Beside that, good job guys. Of course there is some dimensions missing, but on the other hand many fun and playable dimensions are added, which were lacking on the original Snatcher. Because of that, both games offer enjoyable experiences on different levels and should be seen as two sides of the same coin, both as important as other. Just managed to patch the game disks (not as trivial as you'd think, on a Mac I had to try 3 different programs before I found one that worked). Only watched the intro so far, but it's pretty sweet and definately adds a lot of detail to the game. A masterpiece translation for a masterpiece game. It is worth every penny! Kudos for Team Melancholia! Please keep high quality translations like this coming! Glad to finally play this great game in English. Little problem tho: I'm escaping the warehouse through the Windows at the very beginning of the game.... and then nothing happens. I hear the ticking timebomb and the enemies are moving around... I can open the inventory/status window etc but I cannot see the main character or move... Am I missing something? The only (small) problem I seem to be having is that the level music stops after saving (when changing levels or when starting a fight, the music starts again). But other then that: wow! What a great translation. Has anybody tried it with a Playsoniq as SCC-I? The standard cracked version detects it just fine, but this patch won't detect it at all. Not that it matters too much, because it locks up after the sound chip selection. @ Edwin: I did tried on Playsoniq and its works OK on most configurastions. But you need to run normal version, not the mapper version. So it will work as original SCC-I cartridge and use 64KB of its memory (even Playsoniq have 512KB there). The mapper version works too, but only if you play on computer without memory mapper (like regular MSX2+ with 64KB of RAM). So PlaySoniq memory mapper will work and SCC-I will work. But I don't see the point to use mapper version even on 64KB MSX system, because PlaySoniq have like "orignal" SCC-I + RAM inside. The only configuration when PlaySoniq will lock up is when you play on system with memory mapper (Turbo-R, for example). The lock up happens because of 2 memory mappers present in the system. And this is weird: when using the playsoniq as SCC the music restarts playing after saving. When using the SCC from the SCC+SD it wont. @ Maggoo: I believe sd_snatcher had a similar issue with demo version. But we was never able to replicate it. And you are the second person to have it. Could you please provide your configuration and when exactly you jump of the window, so we can try to understand if problem with the patch or the source version of SD Snatcher that you using to patch it. @ Creepy: I had same issue, but if you reset computer it will detect it on second re-start. I don't know why, maybe something needs to be changed in Playsoniq configuration or delay on original reset is not enough. I will investigate more on that. But with all other cartridges it will detect SCC in any slot/sub-slot without any issues. I've tried the normal version now and it works like a charm with the playsoniq. max_iwamoto: thanks! I'll try that or Creepy's suggestion. It's probably on the 16MB in a single slot configuration. @ max_iwamoto: I was using the configuration MSX2 - Japanese on BlueMSX with 512K of RAM and SCC-I in Slot 1. Apparently the problem comes from the configuration because I switched to TurboR emulation and it works just fine. The problem occured after the sequence where you find the bomb. I tried to run out of the building and it just got stuck there. Thnx guys for this release!!! I m playing on de1 and I have tested on fs5500 , mb-h70 and gt and it work really well! I have finished the game today. What a nice translation! I noticed the music problem Creepy mentioned. I used a real SD Snatcher Sound Cartridge for the sound/RAM and MegaFlashROM SCC+ SD for loading the DSKs. It's been ages since I played SD Snatcher, but I think it's quite strange that it makes no noticeable difference whether I shoot with a "Hand blaster" or a "Blackhawk". Even though the latter is supposed to be much more powerful. Is this normal? Ready for the Elijah demo! So uhm, any chance for a hint how to have infinite money?! @TheWhipMaster: I don't think we will make a retranslation of Dragon Slayer VI. In order to check the quality of the Oasis translation of that game, I played the game in Japanese two or three years ago and I found that the Oasis translation of that game is actually relatively accurate. Therefore, I think the effort that would be needed to retranslate the game would not translate itself into the merit of having a more accurate translation. This was totally different for SD Snatcher. As for Fray, Max and Tsunami are still working on their English translation of Fray MSX Turbo R.
Xak 1 was translated by me in cooperation with Sonic_aka_T for WOOMB, so that game doesn't need a (re)translation either (it just needs to be rereleased ). Xak 2 and Tower of Gazzel certainly are titles that might be worth the effort of retranslating. Keep in mind that you need to use weapons in order to train your skill with them. You can see the skill level (varying from 0 to 100%) of your weapon in the inventory screen. That said, I don't believe there's much difference between the weapons when it comes to strength (neither is there in the original). There is a difference in range (1, 4, 6 or 9 shots) and in type (blaster, laser, fire). Some enemies are strong against certain types of weapons and weak against other. @ Moniz: In Randar III 2 villages and one cave is already translated, but it's till very long way to go. We may even create a special page on the website to show all of them. Very nice retranslation! Great work! I'm having some problems trying to make it work on my TR-GT using Padial's SDMMC interface and its disk emulation tools. Both intros work fine, but when the second intro finishes and the MSX switches to R800, it loads a little bit and that's all (the screen stays black). I also downloaded and tried RUNIT, but intro music gets a bit corrupted and I can't pass from the screen where you enter your name. Has anybody with a TR managed to play it with any disk emulator tool? BTW, it works ok loading from floppy. @Imanok: The patch probably needs a correct disk image to work properly. I have TR and use Runit from Sunrise CF card and game seems to work ok, allthough there is the graphic glitch on the name input screen. Music also get sometimes corrupted at the start, but it goes away if I first load the game to the start menu from the disk and then reset the game and start from Runit. I know, that's some unnecessary work, as I haven't yet managed to make disk images of my original disks, but at least I have it working. Thanks for this work guys!! Thanks for the patch Max and Sama. : ) I'm really looking forward to playing through it someday soon when I get settled down and have some free time. I just finished moving recently, so all of my MSX stuff is all packed up in boxes at the moment. It might be easiest for me to try setting it up on my Zemmix Neo first. Anyone have any luck with getting the disks to work using the Zemmix Neo yet? I remember running into some issues before when trying to load Xak disks using the MegaFlashRom SCC+ SD. What can I say? Awesome, awesome, awesome and... oh yes... AWESOME! Does anyone else have the obsession to harass Benson of his painting over and over again? I find it myself very satisfying. I needed a little breather as I missed some candles in the church, but got it right by the second time (and I hate the combination of narrow corridors and metal creatures). Now I'm on the roll again! 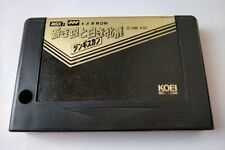 Isn't it awesome that around the world a relatively significant amount of MSX fans is playing the same game, re-enjoying one of the best MSX games ever? Obviously we would very much appreciate comments on the translation itself as well! How did it feel to play the game with our translation? Were there any surprises? How was your experience? Just started playing it and, well, everything just falls better into place now. The atmosphere is also a lot better. Other than that, I don't think anyone is really waiting for spoilers here, so... euhm... job very well done. I finished the game in 1993-5 . Only found the bug from the music after saves (not after shaves ) states and one moment corrupt graphics in factory place, but im solve with a load state. I've found a bug. It's nothing serious, but the game doesn't run on the NEOS-MA20 anymore. 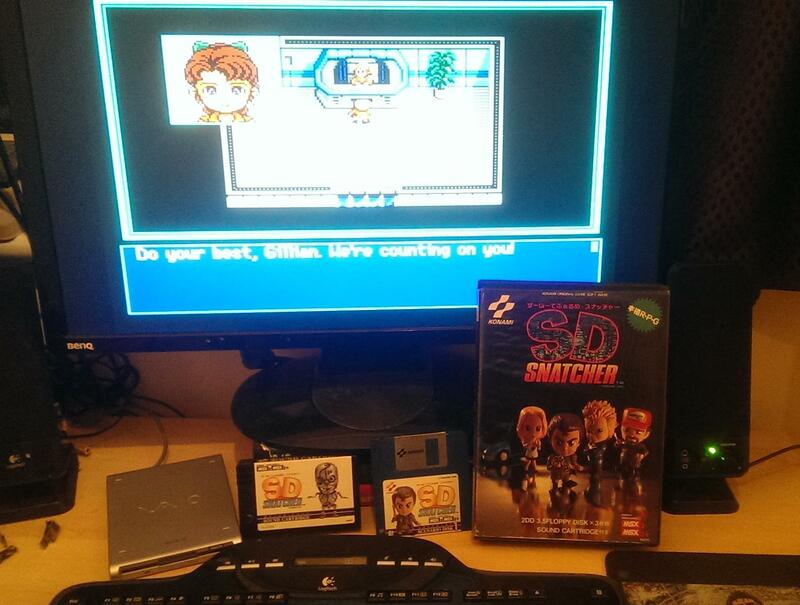 The original SD-Snatcher was able to run on this nifty extension. Great stuff dudes. !! Love playing it again. @ sd_snatcher: Thank you for finding the bug. We will add it to the list of knows issues. Would be nice to find this device or at least have an openMSX emulation for it to be able to fix the issue. @msd: We left ticked buying bug on propose. We looking at it as original game cheat. I know where it located in the script, so it is possible to release optional patch. Also very interesting find about stairs, I never noticed that. I will check if they lead anywhere. What is the ticket buy bug? @MSD and Max_Iwamoto: I had noticed the stairway "in the wall" in Queen Hospital. The thing is from the sewers you climb up to ground level (dark floor). And from there you go down to the basement where you find what you came to find. The sewers are below the basement. That is why you can see stairway in the basement. It's the one leading up from the sewers to the dark part. @ramdam : that makes sense. After a long time of waiting ... here it is! Playing this retranslated game again makes so much fun. Thank you for your engagement and I hope that many many MSX lovers will buy this patch. Don't miss the texts at Survival World (the castle in Syd Garden) They are somehow... disturbing ^^! Would be nice to find this device or at least have an openMSX emulation for it to be able to fix the issue. BTW, did you saw the text with the guy asking you to visit his daughter? So, they planned to have Survival World open originally, and somehow decided to close it at the last moment. But the message with the girl stayed. Also one of the NCP's suppose to show player text about hidden stage, but they also removed it at the end from the script, but left it on the disk. We translated it and also left it there, so anybody could see it if look from the disk viewer. Some other scripts also had unused texts, but nothing special. We maybe post them on special section of the website. Also there is 2 texts in "Abandoned Factory" that we were unable to trigger even they presented in the script. Based on those texts you should be able to see Randam there. Based on the script it should happen after you saw him at Baran's Apartment, but before you go to the casino. So, if anybody manage to see it, please let us know. Thanks. @ Oscar: Thanks. We will have another look at John's situation. Finished , now what to do :-p .
Play the Sega CD version of Snatcher? MSX version of Snatcher is still better to play than Sega. Why that? The MSX version was not even finished. The only advantage I see is SCC music. If you try the MSX version with Turbo R and load it from some harddrive, it's actually very playable and smooth. I'm also not very fond of the english dubs on the Sega-version. Better to leave them for your imagination. Many great games have been ruined by terrible voice-acting, when they could have been just left silent. I think MSX graphics and SCC sounds adds more old-schoolish feeling to it than the advanced Sega ones. 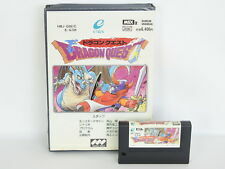 Also, if it has any meaning, it is the original version (along with PC-88) afterall. Yeah, but the story is not finished, dude! I take it from your comment that you have at least tried the Sega CD version. I didn't think the voice acting was that bad. To me, it's actually the finished version - contrary to the PC-88 and MSX2 versions. But, it's still a great game, no matter which platform you play it on, but I prefer a finished story (and I like how it differs from SD Snatcher at vital points). I preferred the Sega CD version of Snatcher (played both). Chapter 3 felt rushed, though, unlike SDS, where it's pretty lengthy. Has anybody tried it with a Playsoniq as SCC-I? The standard cracked version detects it just fine, but this patch won't detect it at all. On my 8255 (with MSX2+ gfx chip), SCC in Playsoniq gets recognized, but only rarely. Haven't tried the other version yet though... Probably that helps. Some very simple commandline tool that did the job. Forgot the name, but let me know if you need it. I used uips on the Mac, and it works like a charm. You can get it here. For Windows users, the best options are IPSEXE and Lunar IPS. @ Jupp3: Please look up in this tread. You will see comments from Edwin and my answer to him. In short, use IPS patch for original version with SCC-I cartridge. Do not use mapper version with Playsoniq. It will not working properly on MSX systems with 2 mappers. Please look up in this tread. Already noticed that. That's what I referred to with "trying the other version". Just thought to point out that it still DOES work - only rarely. In case that might help. Finally started playing on my real MSX Turbo R with the Megaflashrom SCC+SD. Disks are in flashrom; saving on real floppy disk. Excellent experience! Great job for the team! 1) I also encounter the "no music" bug after saving on the user disk (same as what Creepy reported). The sound effects are still playing, but it looks as if the music start command is somehow skipped. When playing from the real disk drive (with only a default SCC plugged), this is never happening. 2) The initial text menu only allows control by the keyboard. I play the game with joystick (The Arcade), so would it be possible to also add jostick port 1 support? The game also has full support for joystick port 1; joystick port 2 is ignored. 1) How are you planning to release patches? 2) As many people before pointed out: I would love to see a translated manual! I am amazed how many hints the game actually gave you on what to do and where to go next. Quite a difference from the summer of 1990 when you endlessly wandered around until something changed and you finally could progress. The complete maps of Sd-Snatcher, based on the Project Melancholia English translation, are now available on MSX Eggerland (and later they will also available on MRC). There is still some one alive. Respond to my order tooked three days with a nice excuse. So don't worry. Guys, this project that you did is definitely a masterwork! Absolutely fantastisc!! Thanks a lot. Like many, I played the game in the early 1990s and never finished it. I recall because of all the Japanese. Looking back to many Japanese games of those days, it's a shame playing such fantastic games without really knowing what is happening. I had the same threill with the Legend of Heroes translation. Both games are in my all-time top 5. Thanks again guys! 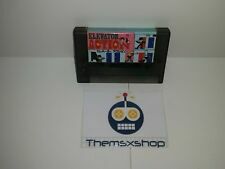 You truelly contributed something special to the MSX legacy. Little problem tho: I'm escaping the warehouse through the Windows at the very beginning of the game.... and then nothing happens. I hear the ticking timebomb and the enemies are moving around... I can open the inventory/status window etc but I cannot see the main character or move... Am I missing something? I experienced this as well. I played the game on the blueMSX emulator with TurboR config. I solved it by loading a previous save game and then it worked. By the way, my official order of the translation worked perfectly well. So people, if you haven't played SD Snatcher yet, please do so by acquiting this fantastic game. Max & Sama, are you guys working on anything lately? I think Feiraco meant, acquiring ? And keep in mind, you will buy a translation not the game! Anny how, the translation is really great work and makes the game very playable indeed. For those who want to order the translation , Please keep in mind that the hobbyist behind this great work have a live to and give them at least 5 days to respond. They will respond ! I played the game with a lot of fun and it reveals a lot more info in the game play. More important, the story makes sens.